Some of the previous years' trends are in the beginning phase, while others have already taken root. 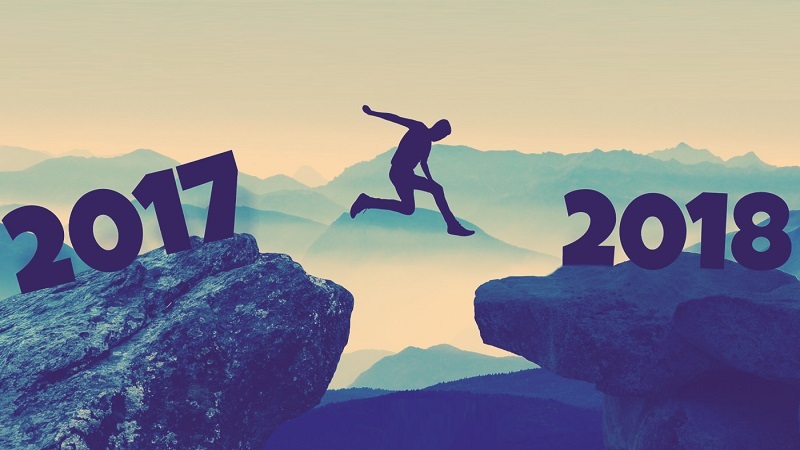 Some businesses are preparing to enter 2018 with a bang. Sarath C P is a Business Consultant at Startupr. Are you the owner of a small business? Need to look for the bold and innovative moves that lead companies around the world are making to drive success? Some of the previous years’ trends are in the beginning phase, while others have already taken root. Some businesses are preparing to enter 2018 with a bang. So what entrepreneurs are expecting, while heading into the new year? Check these 10 small business trends in 2018 for your business. 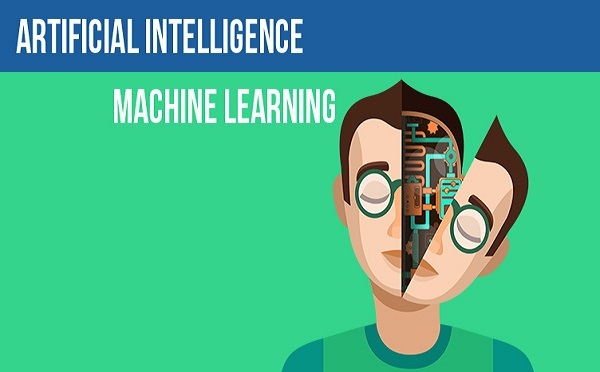 Artificial Intelligence (AI), Machine Learning (ML), and the internet of things (IoT) were the buzzwords that Big Tech couldn't stop talking about in 2018. Expect more of these technologies in 2018. While the terms themselves have reached an almost parodistic level, the ideas behind them have greater impacts every year. Small businesses can now access many of the advantages of these technologies at no or low cost. The IoT is fueling hyperlocal advertising while allowing businesses to track customers and shipments like never before. AI lets you turn a bunch of apparently random data into actual insight about the way customers are associating with your business. All the while, ML is promoting your products and services to the best customers on the internet like Facebook and Amazon. Iot,AI,ML outlines a suite of tools and tech that can assist small businesses to increase revenue while withdrawing rising costs. It’s expected that your small business will never directly or immediately implement any part of Iot, AI, ML, but it will surely use services or software that taps into the tech. In 2018, you will touch this tech more than ever before. Get the proven Iot, AI, ML software, and services. There will be some risky projects to avoid, but there will also be some winners making the lives of small business owners much better. Banking models are all set to take a radical shift. Since Millennials want to bank wherever and whenever they want, it does not regulate with the traditional banking model. Digital banking is going to replace the traditional brick-and-mortar banking solution with a technological first-mindset. It will grow to more than 2 billion users by 2020. In short, you will carry your bank or wallet in your phone. With the pros comes the cons, Mobile banking will bring cyber attacks along its way. More than 60% customers are managing their bank accounts on the phone. With the increasing number of users, the chances for cyber attacks will increase. In 2018, the size of the millennial market is expected to grow and dominate. Millennials are a notoriously anxious and cautious group. They look at the world in a different way and are very active consumers of digital content. By 2018, they are expected to cause a shift in the social media, tools and tactics, video and mobile marketing thus engaging with the millennial audience. More and more businesses are provisioning to Millennials, it is expected to grow to an estimate of $1.4 trillion in 2020. This means more experiential sales and marketing, and a push for consumers to “connect” with brands. The next upcoming trend is value-based selling. To market with Millennials, small businesses need to explore ways, to be transparent and honest. Your business and marketing strategy should come out clearly in front of them and should explain how you are seeing your growth in upcoming years. For instance, Just compare Netflix to Uber. Netflix is providing a flexible environment to its employees and users, whereas Uber is just dogged by the internal and external complaints. Uber seems just to be talking while Netflix is growing its customer base day by day. These days our smartphones can access all our information, and they can very well know about our location. It can take advertising to the next level. Hyperlocal advertising utilizes your location to serve ads relevant to where you are. Imagine yourself in the store looking for a gadget that you have searched on the laptop, and you get an ad on your phone that they are offering something better and genuine from their store. You will definitely love this type of advertising rather than getting into lots of useless advertising on your phone. Small businesses are in an excellent position to interact with their customers and market to them in a traditional, yet personal, way. Instead of simply asking them or throwing a targeted ad at them, opt for a clever and catchy sign that people will love and it will benefit your company too. You can get the base traffic in the same old-fashioned way. It will stand out from the digital noise. Also, it is easy to understand, and it will not make anyone feel like their privacy has been infringed. But it is always good to push against the tide and make your brand persist and stand out in a unique way! Blockchain and Bitcoins are the trends that will show an immense growth in 2018. 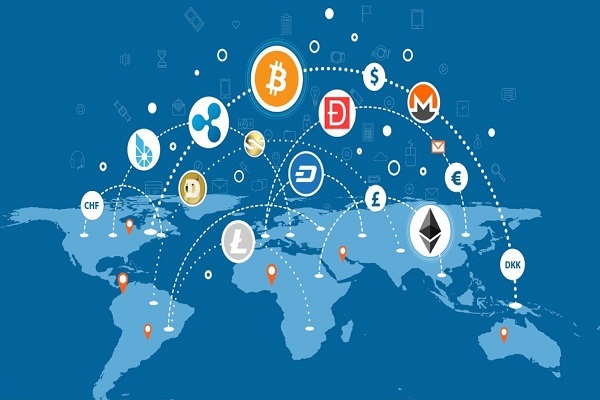 From offering upgraded security and authentication in agreements and supply chains to building real peer-to-peer business networks across retail, energy, and more, Blockchain will have a severe influence on the way business is administered this year. This may prove to be beneficial to the early adopters of technology. With the trending Blockchain, they can definitely develop a competitive edge over their competitors. Talking about Bitcoin, it is still a serious hurdle that needs proper handling. It is not energy efficient, and people have already started working on it. In the coming years, there will be solutions to make cryptocurrencies a genuine alternative to the traditional money. 2017 has seen a lot of new trends already in the field of digitization. But, with the development of new technologies such as Virtual Reality, Augmented Reality, and Bitcoin, the digitization is expected to grow to the next level. These technologies offer interesting potential avenues and exciting business applications, thus making it users to interact easily. If we talk about VR, it is an amazing tool that works with a very user-friendly interface, thus giving users a never see before experiences. Same is the case with Augmented reality; it has the similar scope and flexibility. There are various brands using these technologies in the form of apps to give their customers a very pleasing experience. If the small businesses realize the benefits of the next big technologies coming their way, they can rule the market. Hence, 2018 is your opportunity to start focusing and future-gazing on those emerging trends. In the past few years, we have seen that video itself has become a vital component of successful businesses. Customers want real connection; they are done with the impersonal and generic marketing. 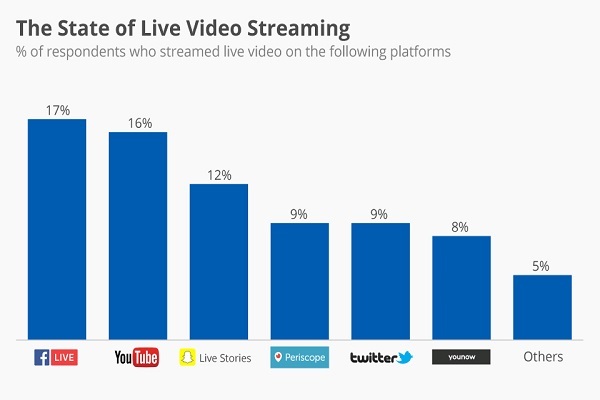 So, live video is the trend that can engage you with your audience. With the growth of smartphones, the video is one of the easiest forms of media way to build your brand. When your brand is able to make a real connection with the audience, it will definitely have the power to rise in an exponential form. Live video can give many businesses a face and a soul, allowing businesses to stand themselves from their competitors. Whether it’s running B2B free webinars (as there is free Webinar service available), streaming a product launch and product reviews, or offering Q&A sessions, live videos are becoming a fundamental part of a business marketing strategy. Research has shown that 80% of readers find it convenient to watch videos, rather than reading long blogs and articles. While it's still useful to learn how to start a blog and create well-written content, a video is becoming increasingly more important today. In 2018, businesses who plan to devote resources to live streaming videos will dominate their industries. The physical workspace is going to change significantly by the next year. Businesses are working smarter and hence targeting more productivity in less space along with analyzing the employee's behavior and technological tools. As a startup, you can look to reduce your real estate commitments and work to moving more to the flex desk options since most of the employees work away from the office while being connected to the people and resources and making use of useful tools that help them do their work more efficiently. In 2018, the more focus will be on providing customers security on their personal data. It is always a bad decision to trust online businesses without proper research, and many people ignore the research part and hence lose their personal data. 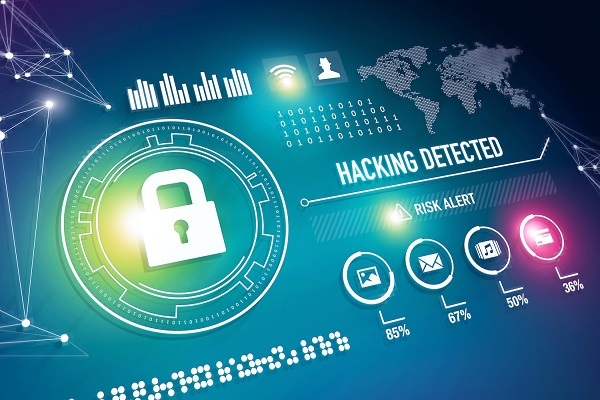 Many businesses that have been hacked have improved and raised consumer awareness. They make it a point to explain the consumer the risk of exposing themselves on a daily basis. Small businesses need to focus on reversing the data structure, enabling you to keep all of your personal info on your smartphone and only shaping it on your device. This implies that you hold onto your data, even while it’s preparing the same processes and decisions it has always made. SMBs are firmly looking for innovative business opportunities and using advanced platforms and various digital channels for getting the customer leads. In search of getting the targeted customer leads, they may spend a lot and still struggle to manage these leads and to keep a proper record of it. Small Businesses need to look out for lead generation solutions that are inexpensive, mobile-friendly and easy to operate. It will help them in managing their leads and customer-data effectively in 2018 and the coming years. That’s my list of the biggest small business trends in 2018 that will lead your business to the success road. Every business has their own list of trends that they keep in mind to follow in a particular year. Just keep in mind to walk in hand with these latest trends and improve your knowledge to upgrade your business to a new level. Thanks for this great post about trends in business! Thanks for sharing such an informative article on the business articles as it will surely be of huge help for those who wanted to start the startup. Every business needs tools for growth hacking and the biggest dilemma they face is the right product for their business.At toolowl the team identifies key performance indicators for a particular tool from Individual’s as well as Business’ point of view. This brainstorming is then translated into a distilled methodology for review framework. Teams do hands-on, research on the tool/domain and record their inferences in the form of reviews that help you make your choice! With this year, there will for sure be a lot of trends that will probably carry over to next year. Now of the ones you listed here, I do think that the financial trend will carry over. I’m part of that group that wants to bank whenever and wherever I want. I’m sure that a lot more places will be going mobile if they aren’t already doing it. Good Post! I think people will consume more data than this year. How Will Blockchains Help Advertisers Lock up Customer’s Attention?